Home / Key Personnel / Bilal Alizai, P.E. Bilal Alizai is manager of the Site Development Department, which conducts reconnaissance level investigations, feasibility studies, platting, planning, paving, grading, and the design of flood plain mitigation, utilities and public infrastructure. Mr. Bilal is a results-oriented manager with more than 20 years of experience in civil infrastructure, land development and transportation for both public and private sector clients. 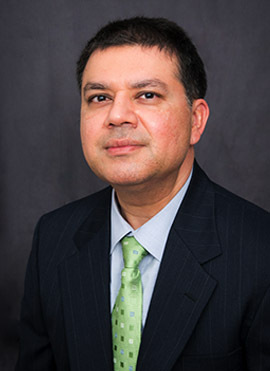 His extensive background in master planning projects, managing consultants and providing development services has led to the successful completion of a wide range of projects – from high density office, commercial and retail super centers to mixed-use planned communities in the commercial, retail and residential development sectors. Mr. Alizai has a Bachelor of Science degree in Civil Engineering from Texas Tech University and holds multiple professional certificates, including certification by FEMA as an Emergency Program Manager for cities in the US.